Trees are the most impressive part of any garden. These historic structures can make even the most basic lawn space into a natural haven. It’s no wonder that those of us lucky enough to have them go out of our way to keep them healthy. Yet, keeping your tree healthy isn’t plain sailing. In recent years we’ve seen millions of trees die from disease or insect infection. While experts are unsure of the cause, climate change is thought to be a major factor. So, your cherished trees may be at more risk than you think. Today, we’re going to concentrate on diseases. If you suspect foul play in your foliage, you should do your research based on the symptoms. But, to give you some idea, we’re going to look at common diseases to keep an eye out for. This leaf attacking fungus should be at the forefront of every tree owner’s mind. This most often attacks in spring, so checking your trees as soon as possible is a must. This disease focuses on the leaves and makes itself known through small tan dots. While sycamore trees are especially prone, the majority of species are at risk. But, what should you do if you spot those dreaded spots? 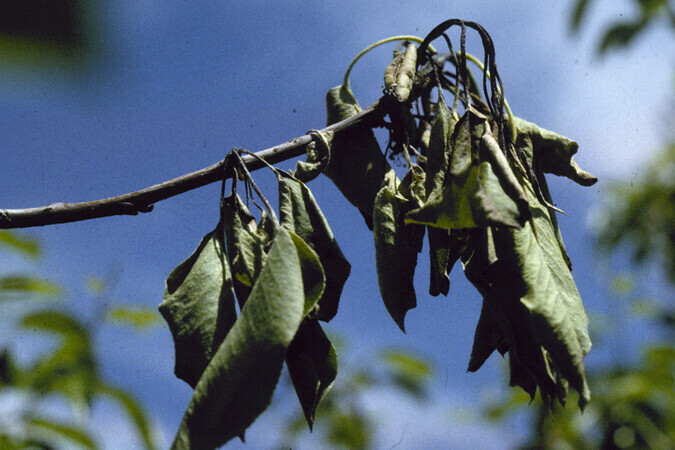 Not treated, this issue can lead to leaf defoliation, branch dieback, and possible death. So, act as fast as possible. By cutting back affected areas, you can prevent spread. The only other thing to do is ensure your tree is healthy. With proper care it should have no trouble fighting the illness once you’ve removed the problem areas. Heart rot disease t becoming the main body of the tree. The good news is, this is an easy one to spot due to the ‘conks’ or mushroom like bodies which it creates. If you spot this problem, you need to contact a arborist like those found at https://www.treeservice-burleson.com/. They’ll be able to tell you whether the disease has impacted the structure. In most cases, the disease lives up to its name, and the tree can’t be saved. Your best bet, instead, is to prevent the issue by reducing pruning wounds and so forth. This bacterial disease is iconic because of its appearance. It travels from the tips of branches and causes leaves to appear scorched. Eventually, it causes dieback and kills blossoms and sometimes the whole tree. As with Anthracnose, cutting affected areas is your best chance of stopping the problem. Certain chemical treatments are also suitable. Or, you could opt for a less invasive home method, like the white wine vinegar treatment mentioned on http://homeguides.sfgate.com. Treatments like these are ideal for those who don’t want to use heavy chemicals. Whatever you choose, make sure to act fast to restore your trees to their former glory.